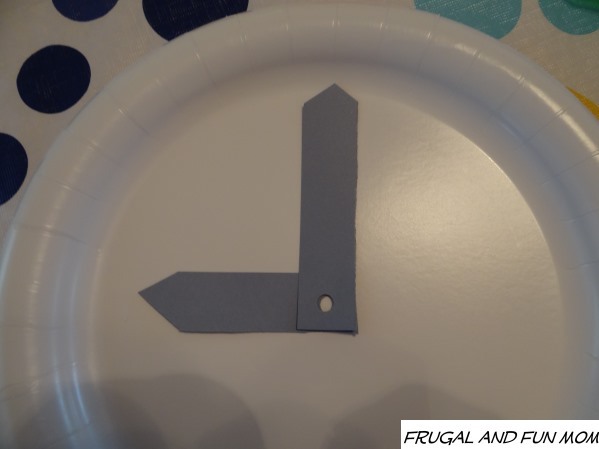 DIY Child’s Paper Plate Clock! 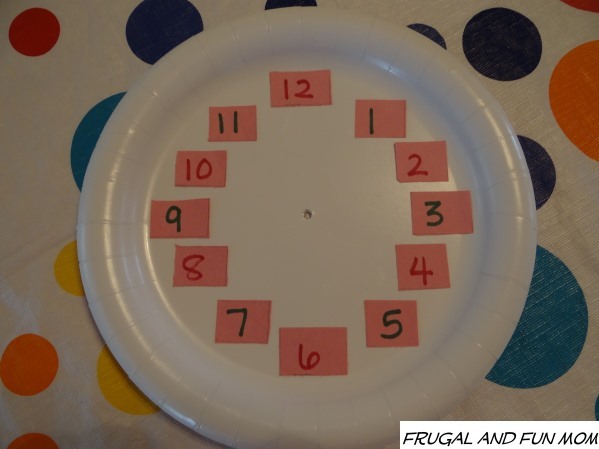 An Easy Craft That Teaches Time! 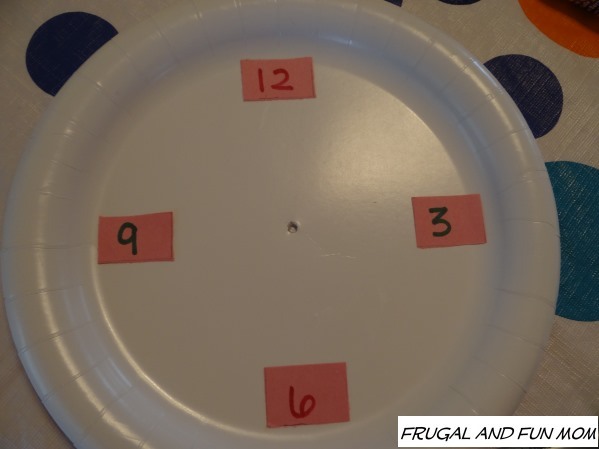 This is a great way to get kids interested in time and is awesome for hand-eye coordination and to order numbers. My daughter and I were having a tea party and I also wanted to set up a craft for us to do together. 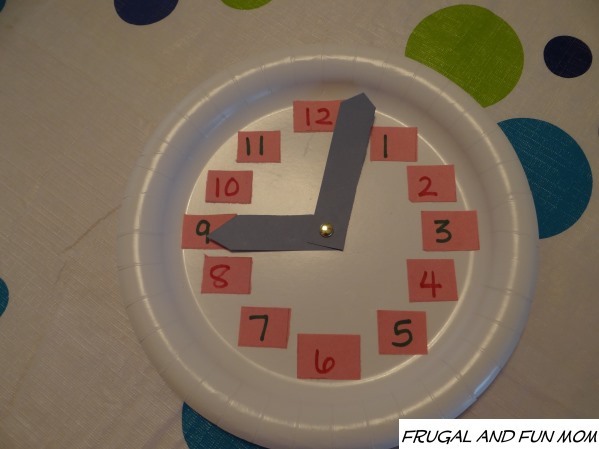 I decided we would make Clocks out of Paper Plates that I picked up from the dollar store called the Dollar Tree, along with other supplies. To get started, I went ahead and blocked the numbers out for my daughter in alternating colors. 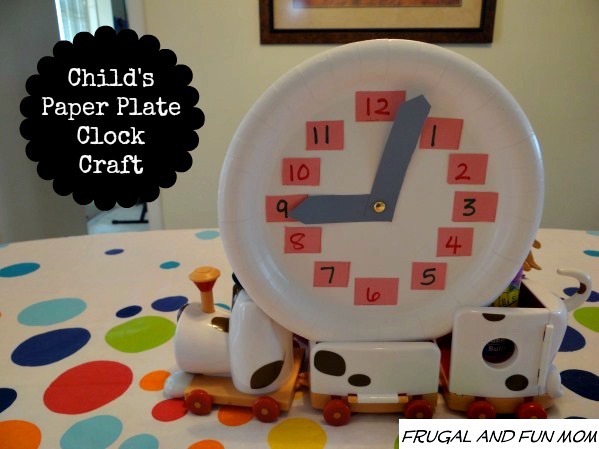 I then cut out the hands of the clock and set them up on the plate to make sure they would fit. After centering them and cutting them a little shorter, I used the whole punch. I then lined this up again in the middle and made a circle in the center with a pencil. 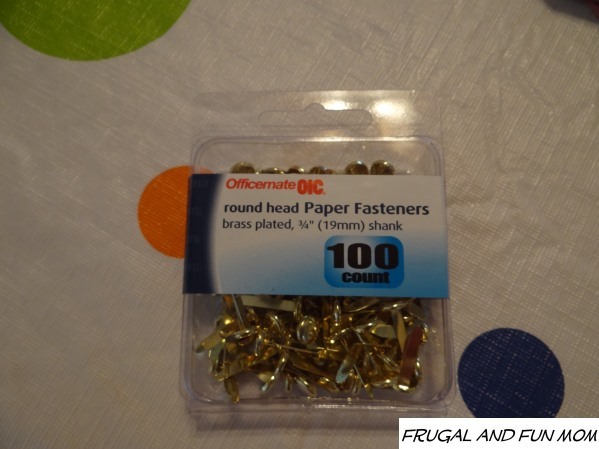 This way I would know where to poke the hole for the metal paper fastener. After, I poked the hole with a meat thermometer (you could also use an ice pick). 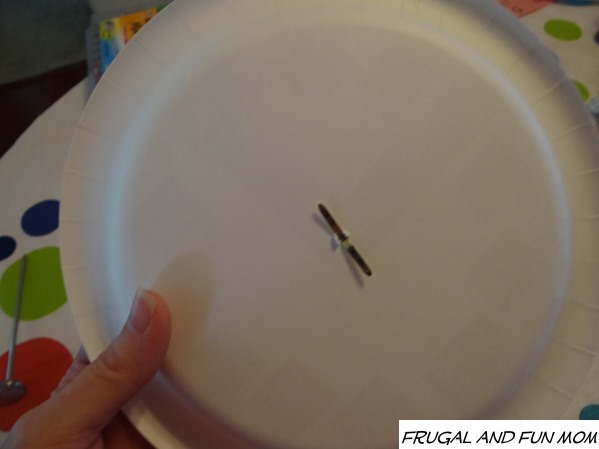 I then handed over the plate, numbers, clock hands, paste, metal fastener, and safety scissors to my daughter so she could complete the craft. I suggest adult supervision depending upon the age when working with scissors. I had made one of these in advance as a guide, and here is how I finished it. I placed the 4 numbers first to help line up the others. I pasted all the numbers down. As my daughter put hers together, we discussed the order of numbers and the best way to place them. She was able to finish up her part of the craft with ease. We then talked about what time it was, and moved the hands to the proper spot. After that we hung our clocks up for all to see! 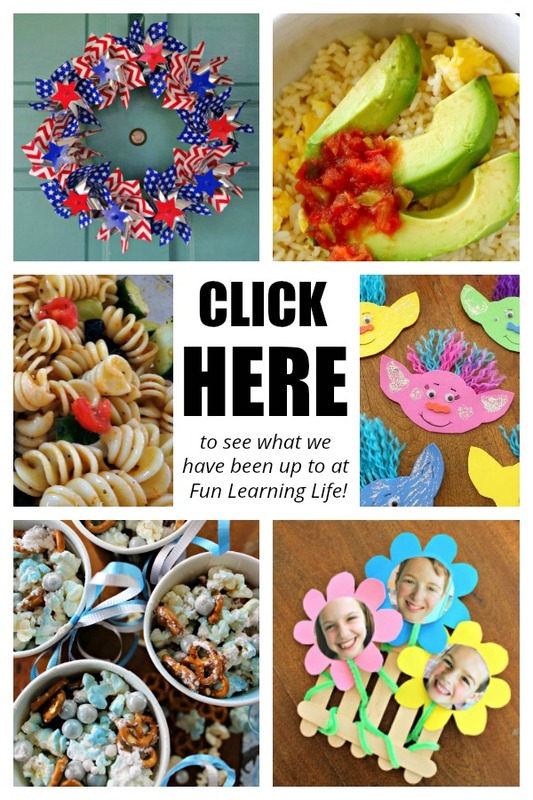 Have you made a craft like this at home with your kids? What did you use? If you try this out with your kids, let me know how it goes. 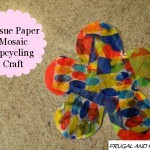 Tissue Paper Mosaic Upcycling Craft! 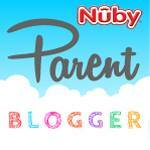 Easy Child’s Activity Using Everyday Household Items! 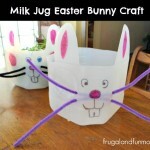 How To Make A Milk Jug Easter Bunny Craft! 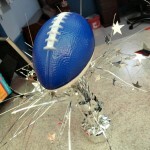 EASY DIY Football Party Centerpiece! 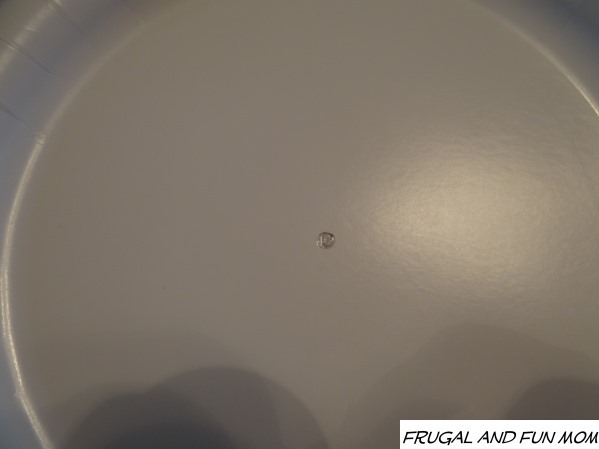 A Dollar Store Craft! I remember doing this when I was in school and so did my older kids. 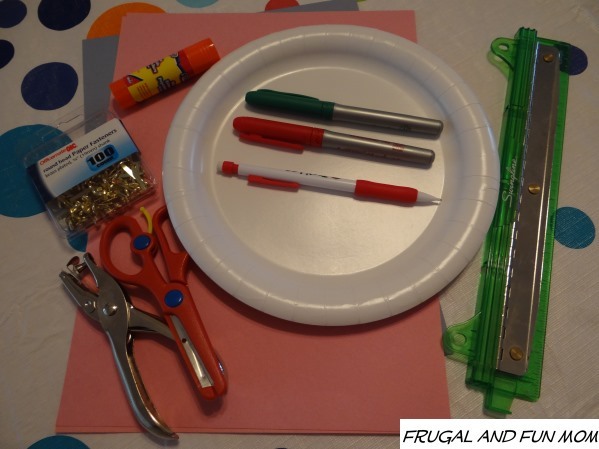 It's an easy craft and it is a great teaching tool. Thank you for sharing. I love this! 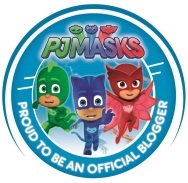 What a great teaching tool! Going to keep this idea to make one with my grand daughter soon. I love this project. My five year old has no clue how to tell time at all and my 7 year old only knows digital (I think he's just lazy about it). The 7 year old has learned this type of clock time telling in school before. 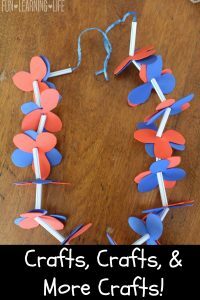 So I think I will make this as a fun craft to do as a family and use it to each them time! I remember my daughter making something like this in school, now that I think about it. 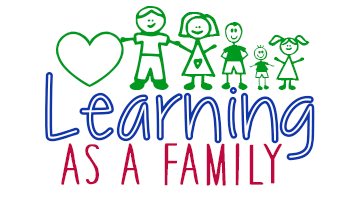 As she keeps mentioning home schooling and I keep thinking about home schooling for my middle child - I am on the look out for various craft/teaching ideas to see if home schooling can be a good fit for us! 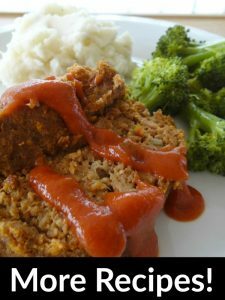 This is cute and I can't wait to try it with my son! He is a preschooler now and there is so much to learn. 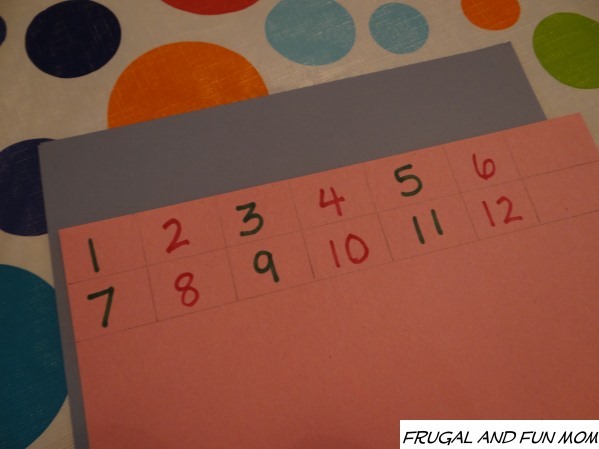 I love ideas like this that make learning fun. What a fun craft. 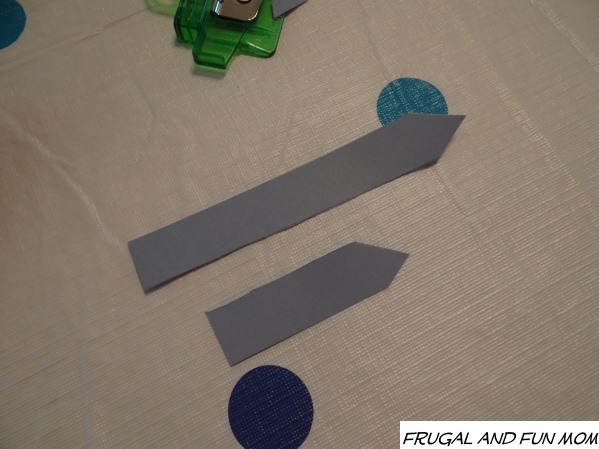 I love how easy it would be able to make and cheap too! awesome idea. kids NEED to know how to tell time! 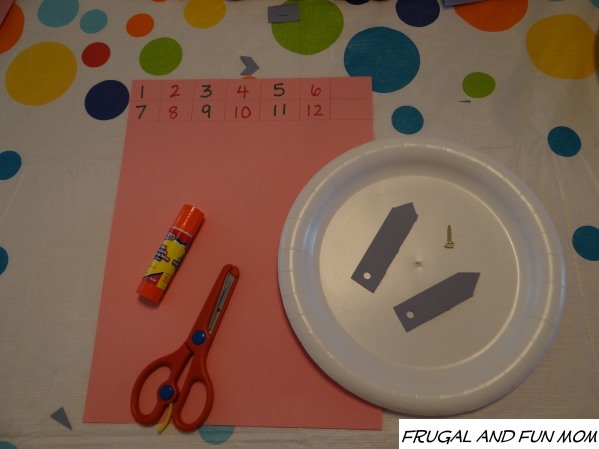 This looks like a fun one for the kids, and I love that you can use it for learning. OMGosh that's so easy, I would have never thought to do this! My son is 5 and in kindergarten, this will come in handy. 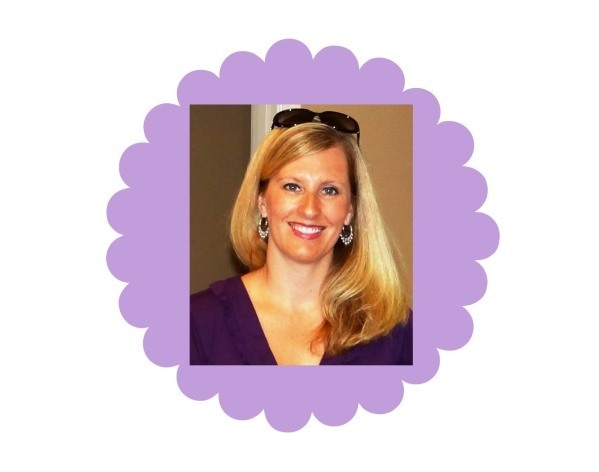 I think it might be fun to make too! I love this. My daughter is wanting to learn how to tell time.